HYDERABAD Once upon a time ! : Trimulgherry Entrenchment. 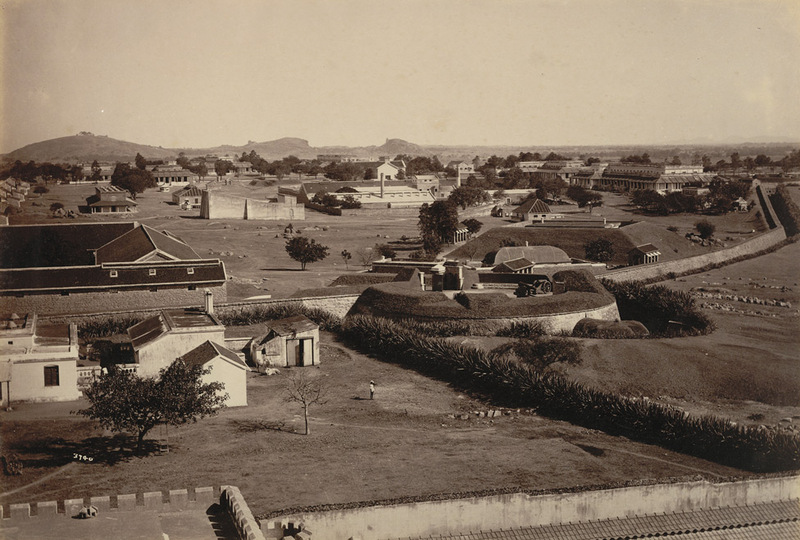 General view of buildings in the Trimulgherry entrenched camp near Secunderabad, photographed by Deen Dayal in the 1880s. This photograph is from the Curzon Collection: 'Views of HH the Nizam's Dominions, Hyderabad, Deccan, 1892'. Secunderabad is situated in Andhra Pradesh next to Hyderabad, its twin city. The town was founded in 1798 after an alliance between Hyderabad’s Nizam Sikander Jah and the British East India Company, which made an area north of Hussain Sagar lake into a cantonment. Soon after the alliance was signed 5,000 British troops arrived and camped north of Hyderabad; the cantonment of Secunderabad was laid out in 1806 and named after the Nizam. Initially it encompassed an area of four square miles and had a population of 5,000 troops, plus several thousand civilians. However, 60 years later it had increased to 17 square miles and the population, including the armed forces, had grown to 50,000. The town continued to develop as large numbers of people from the surrounding rural area were drawn by the work opportunities created by the military. Timulgherry is one of a group of artillery cantonment situated in the area of Secunderabad.